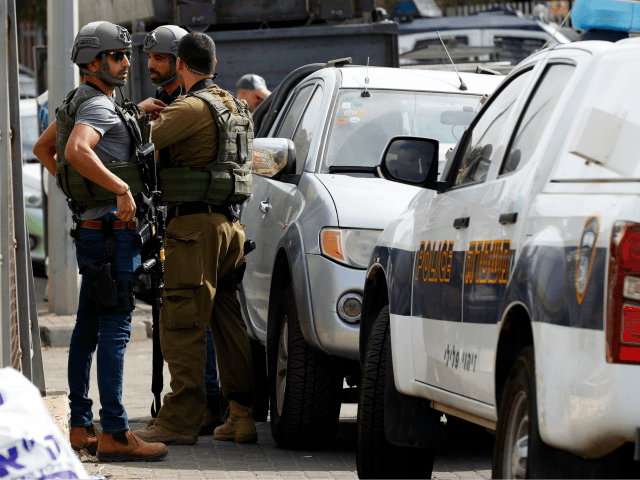 The Times of Israel reports: Israeli security forces raided the Palestinian Authority’s Jerusalem Governorate headquarters and Jerusalem Affairs Ministry on Sunday, the official PA news site Wafa reported. Spokespersons for the IDF and Israel Police did not immediately respond to requests for comment. Pictures shared on Twitter showed Israeli security forces at the entrance to the PA Jerusalem Governorate headquarters and Jerusalem Affairs Ministry, which share a building in al-Ram, a town on the northern outskirts of Jerusalem. “Occupation forces…raided [the building] in a barbaric manner in an attempt to confiscate its contents,” the Wafa report said.